Sonic Adventure is a platform game in which the player controls six different characters: Sonic the Hedgehog, Miles "Tails" Prower, Knuckles the Echidna, Amy Rose, Big the Cat, and E-102 Gamma. They must stop Doctor Eggman from stealing the seven Chaos Emeralds and feeding them to Chaos, a monster known as "the God of Destruction". 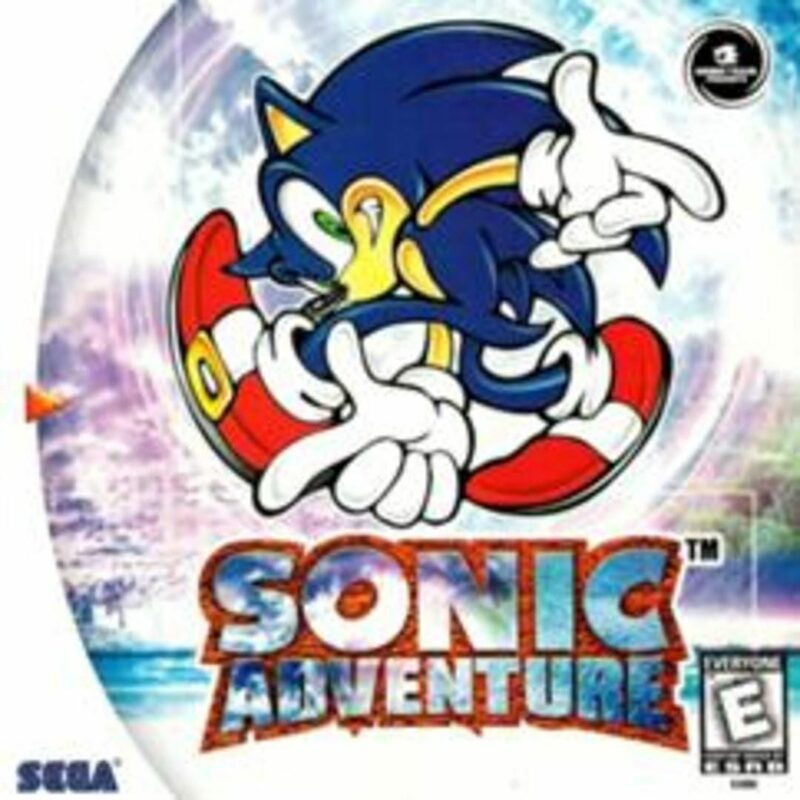 The first in the Sonic the Hedgehog series to feature free-roaming 3D gameplay, Sonic Adventure features two game modes: Adventure and Trial. There are different goals for each character in the game: Sonic involves high speed gameplay, while Tails must reach the end of the level before Sonic does, and Knuckles searches the area for shards of the Master Emerald. Each of the three characters retain many of their trademark moves from previous Sonic games, such as Tails being able to fly for short periods of time, and Knuckles being able to glide through the air, though they can use updated techniques as well. The rest of the playable cast is rounded out by Amy, who must use her hammer to escape from Eggman's E-100 Zero robot chasing after her, Gamma, who must use its laser beam to shoot through levels to reach a target, and Big, who fishes in efforts to find his friend, Froggy. The "Adventure Mode" is a one-player game which consists of two areas, the "Adventure Field" and an "Action Stage". The Adventure Field contains several "Events" that are encountered in the course of the story, while the Action Stages have each character fulfilling a goal to clear the stage. Players may also find hidden Chao Gardens, a protective environment inhabited by Chao, a sort of virtual pet. The player can hatch, raise and interact with a Chao. Chao can be taken with the player by downloading the minigame Chao Adventure to their VMU, or in the GameCube version, a Game Boy Advance with Sonic Advance or various other Game Boy Advance Sonic games. The player can also raise their stats by giving them small animals that they found by defeating the robots, which improves their performance in Chao Races. There are also eggs hidden throughout the Adventure Fields which can produce special types of Chao. By playing through Action Stages and Subgames, searching through the Adventure Fields or winning Chao Races, players can earn Emblems. In the case of Action Stages, each one has three Emblems, which can be earned by replaying the stages and fulfilling certain objectives, such as beating the level within a time limit.